Quite frequently I get asked when the best time to purchase a swimming pool is. We offer specials throughout the year, however many manufacturers are offering discounts, rebates or incentives to purchase now. Late Winter and Early Spring has definite advantages. First, you will be sure to have your pool in by the time it gets warm! In my opinion, I wouldn't want to go through the process of installing a pool only to have to close it a week after it is finished. I would want to have as much time as possible my first year to enjoy and get accustomed to my new pool! 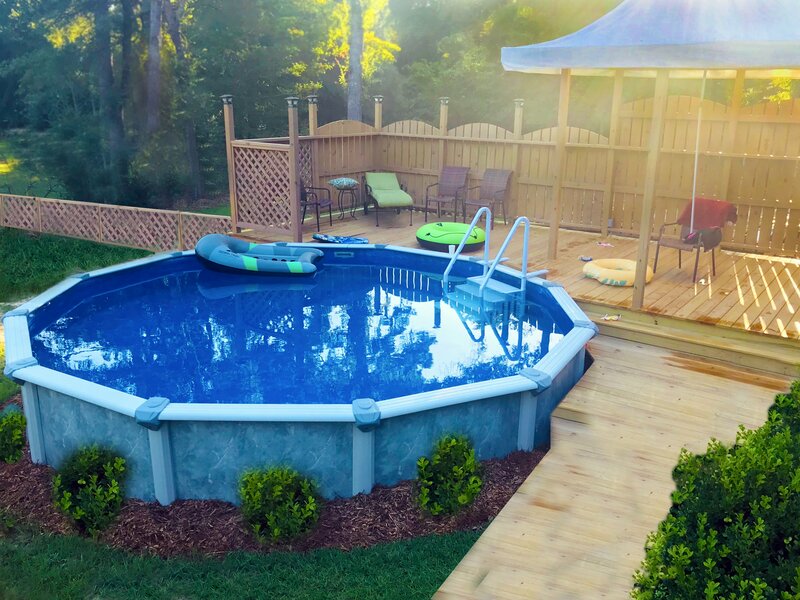 In addition, many retailers, wholesalers, and installers offer great savings on pools in the beginning 2-3 months of the year. If you are thinking about a pool, and want to get the best price with little to no wait, and maximize the first year of pool ownership, these first 2-3 months are for you! We would love to have the chance to turn your backyard into a beautiful lagoon pool paradise! If you want a specific size pool, or even a certain pool accessory that you do not see offered on our website you can let us know and we can have it quoted for you. We have custom vinyl over steel steps available also. 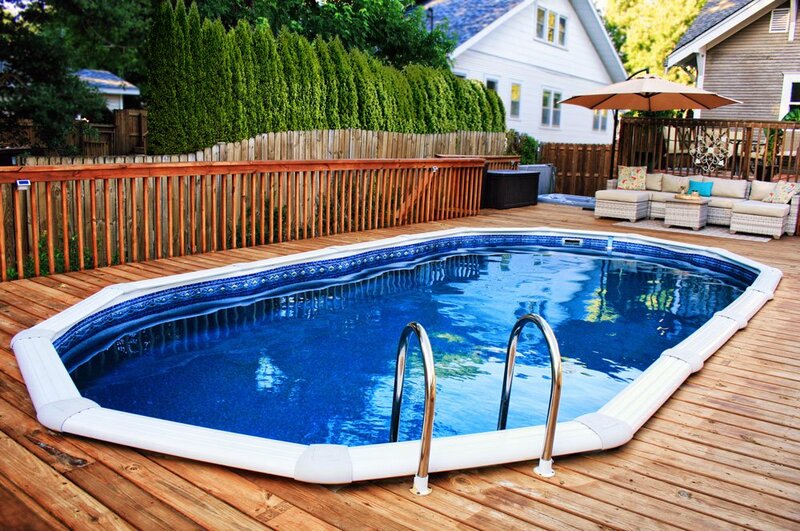 Just think of the enjoyment your own backyard swimming pool will bring to you and your family. Swimming pools, whether they are an above ground or an in ground pool bring families closer together by offering quality family fun.